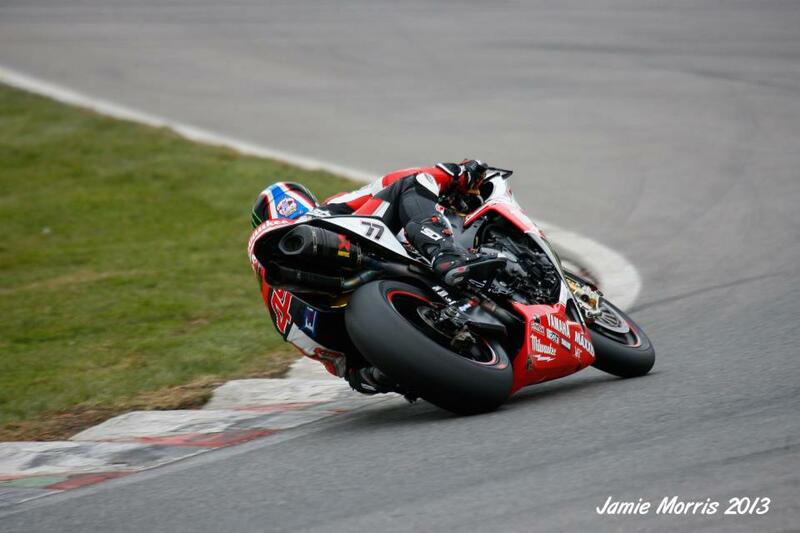 Milwaukee Yamaha’s James Ellison won the second race at Brands Hatch, 3 years after his last BSB race win. Ellison started from pole position after setting the fastest lap in race 1 after he received a ride through for not starting from the back of the grid after pulling off the grid into pit lane. Ellison got the start he needed to compete for the win. Identical to race 1, Shane Byrne got an extraordinary start, leading the race from the first corner. Ellison was right behind Byrne, followed by Samsung Honda team-mates Alex Lowes and Ryuichi Kiyonari. Byrne lost the lead to James Ellison after going wide on the final corner on lap 2 of 30, and the pair broke away from the pack. Behind the leaders, Lowes, Kiyonari and Brookes were locked in a fight for third, but Alex broke away to chase the leaders and was lapping only 0.8 seconds off by lap 14. Batham’s Honda rider Tommy Bridewell was running in a solid sixth position until he was forced to retire due to bike problems on lap 7. This pushed Chris Walker up into sixth, leading a battle with Jon Kirkham and Karl Harris. By lap 27 it looked as if it would be a scrap until the end, but uncharacteristically Shane Byrne ran off track as he tried to make a move on the inside of Ellison. The champion only lost one place, as Sam Lowes stole second. James Ellison crossed the line in first, followed by Alex Lowes who got his second podium of the day, Byrne completed the podium, crossing the line five seconds behind Lowes. You can see a full list of the results here. British Superbikes return next weekend at Thruxton.